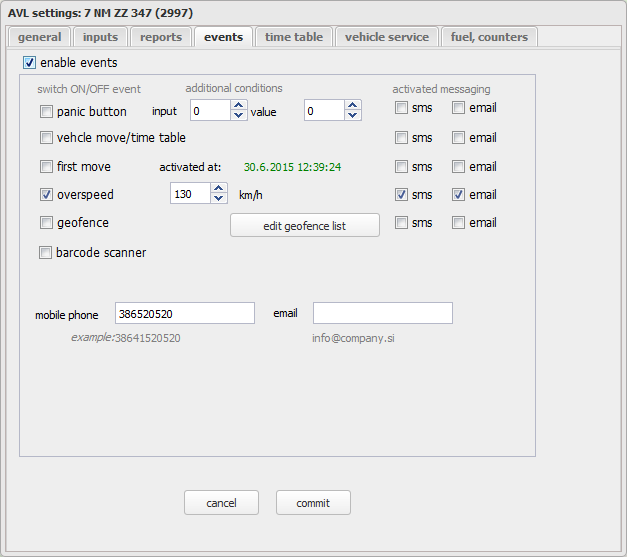 make a check next to events you want to be notified about. Also, you have to check the way you want to be notified (SMS or e-mail). Write down your phone number and/or e-mail for notifications to be send to. geofence: notify when device enters/leaves an area (see below). For e-mail notifications, we simply have to define an e-mail address (see above) and make a check in front of "email" for event we want to be notified. 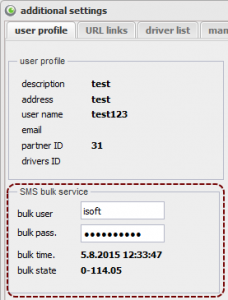 Enter BulkSMS's username and password into fields. Note: BulkSMS account should always have enough credits avaliable. If account runs out of credits, text messages will not be sent! 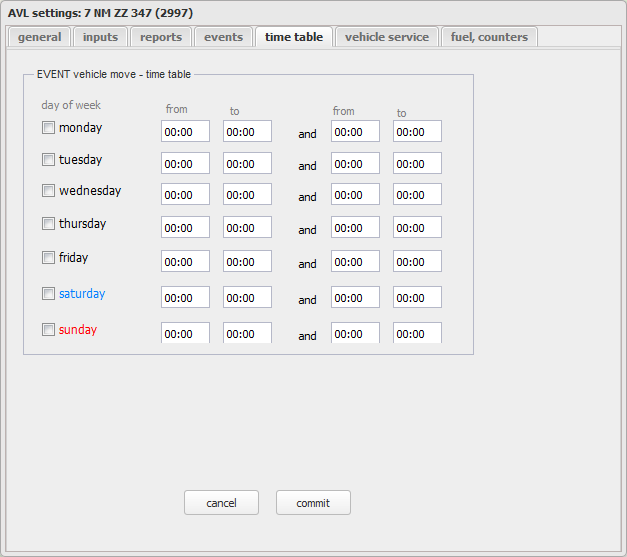 Timetable allows you to configure time intervals when device should not be moving. Example: If we know that device should not move on mondays between 8 and 12 o'clock, we would fill in first from-to next to monday and make a check. fill in the data (longitude, latitude, description, alert on enter/exit, and diameter of area). Save entry by clicking check () button.